This Asec Multi-Purpose Cable Lockout Hasp has a 2.5 metre nylon coated steel cable and space for holding up to 6 padlocks. It is an extremely versatile product because once the steel cable is wrapped around the item (for example, used to lock a gate in the open position) then up to six padlocks can be fixed in place, only when all of the padlocks in place are removed, can the cable be removed. 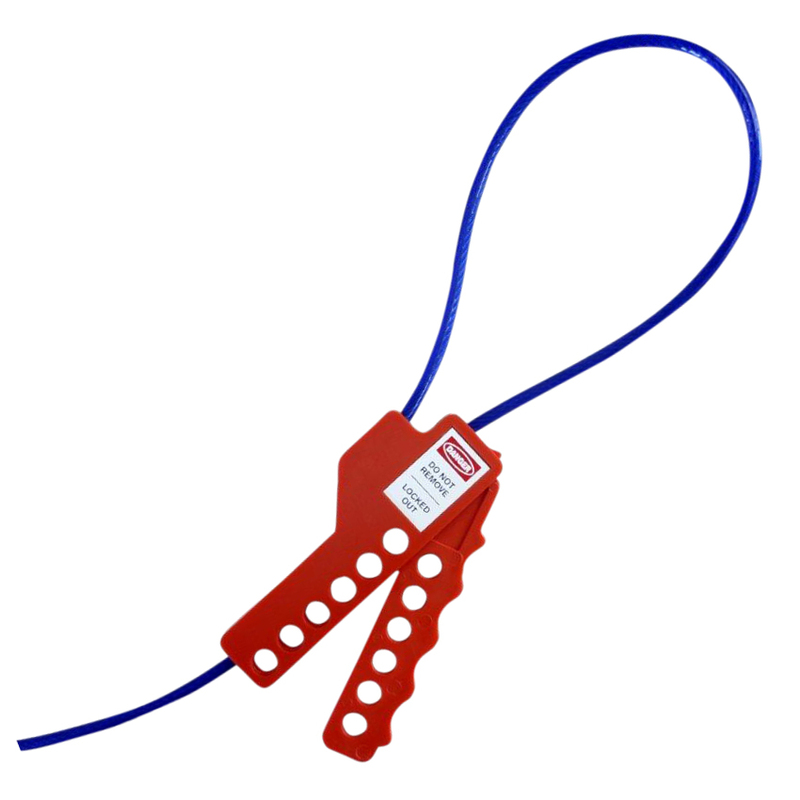 Its highly visible red and blue finish adds to the safety and security of the product. You can be assured that this is a hard wearing and reliable product as it meets all practices and procedures to safeguard employees from the unexpected energization or startup of machinery and equipment, or the release of hazardous energy during service or maintenance activities.